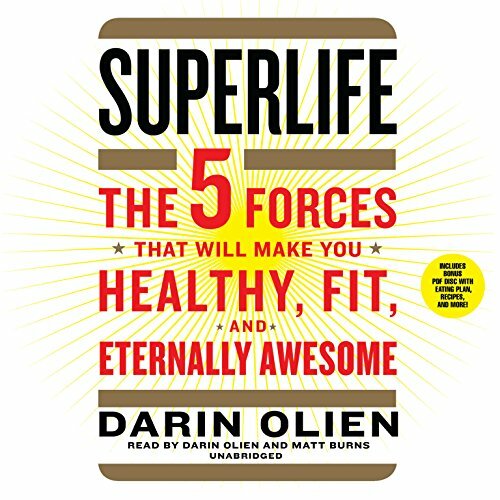 Amazon.com description: Product Description: In SuperLife, Darin Olien provides us with an entirely new way of thinking about health and well-being by identifying what he calls the life forces: quality nutrition, hydration, detoxification, oxygenation, and alkalization. Olien demonstrates how to maintain these processes, thereby allowing our bodies to do the rest. He tells us how we can maintain healthy weight, prevent even the most serious of diseases, and feel great. He explains that all of this is possible without any of the restrictive or gimmicky diet plans that never work in the long term. Written in Olien's engaging conversational style, SuperLife is a one-of-a-kind comprehensive look at dieting and nutrition.